Christmas is fast approaching and today I am sharing a recipe with you that will take your Christmas cookie tray to the next level. I was fortunate enough to have guest posted for Heidi on The Frugal Girls last week, and this is the recipe I brought with me. It’s amazing! 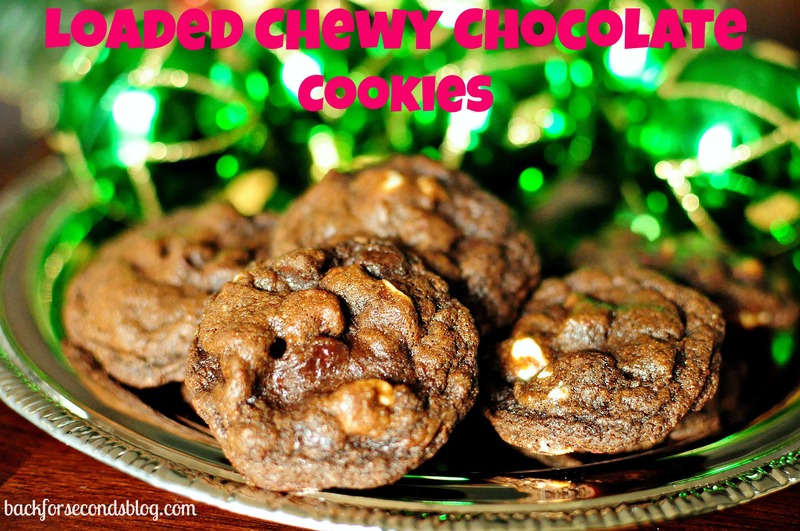 These cookies have soft and chewy texture with a rich, dreamy chocolate flavor. The best part? 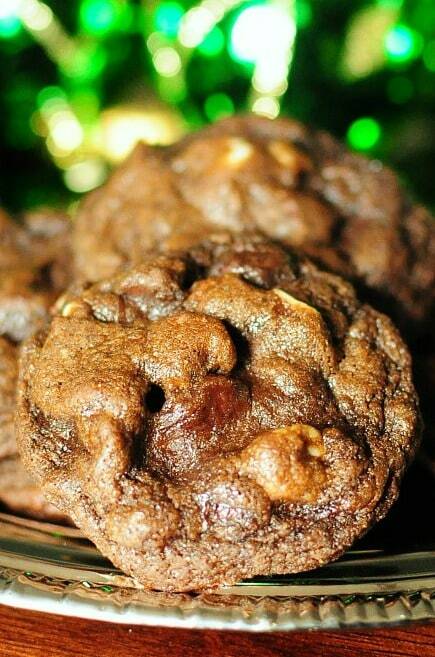 They are loaded with honey roasted peanuts, chocolate chips and peanut butter chips. This is cookie heaven, friends! i’m a sucker for “loaded” cookies especially those with chocolate and honey roasted peanuts – my favorite add-in. These look wonderful Stephanie! Mmm, these are my kind of cookies!! Wow, these cookies are totally fully-loaded! I want one with my morning chai right now! And hey, congratulations on that AWESOME feature on Frugal Girls–that’s seriously amazing. Way to go!! Made these today. Left out the big lumpy bits since I don’t like big hard lumps in cookies, but added a bag of mini chocolate chips. They weren’t chewy, but they taste pretty amazing.